We are manufacturers of Cable Trays in all sizes. 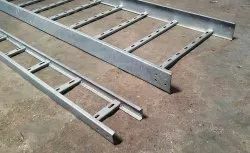 All types, i.e., Stainless steel, SS304, Aluminium, Mild Steel, Galvanized, Painted, Powder Coated,etc are manufactured by us. 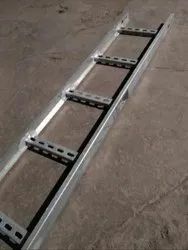 Known to be one of the prominent manufacturers, suppliers and traders in the industry, we have come up with Ladder Type Cable Trays. The offered trays are designed for use in cable laying applications so as to prevent tangling of cables. With their excellent surface finish, these trays are highly resistant to heat and corrosion. We make these trays available in multiple specifications. Owing to our vast domain expertise, we have come up with Painted Cable Trays for our treasured customers. 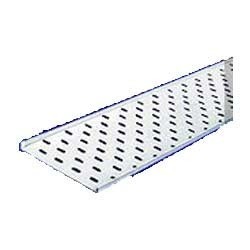 Designed and developed as per the exact requirements of the customers, these cable trays are made available in multiple specifications. Their robustness, high corrosion resistance and durability make these cable trays highly demanded by the customers. Leveraging or rich industry experience, we have brought forward Stainless Steel Cable Trays for our priceless customers. The offered cable trays are designed for cable laying purposes and are characterized by high sturdiness. To fulfill the exact requirements of the patrons, we offer these in customized specifications as well. Offered cable trays are competitively priced. Known to be one of the prominent names in the industry, we have come up with Perforated Cable Trays for our treasured customers. The offered trays are precision engineered with the application of premium quality materials and advanced technology in tune with the industry standards. Owing to their outstanding design and fine finish, these trays have gained immense appreciation. Known to be one of the trusted names in the industry, we have come up with Cable Tray for our esteemed customers. These channels are designed with utmost precision and are regarded for their fine finish and low maintenance. Owing to their dimensional accuracy and hassle-free installation, these channels are highly demanded by the customers. We are among the pioneers in the industry, engaged in manufacturing, supplying and exporting Aluminum Cable Trays for our revered customers. The offered cable trays are designed with utmost precision, with the aid of optimum quality aluminum procured from known vendors. Owing to their sturdy structure and excellent heat resistance, these trays are widely acknowledged. 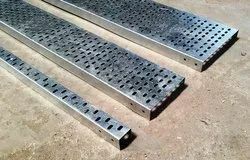 Backed by our rich industry expertise, we have come up with Ladder Type Trays for our valuable customers. The offered trays are designed precisely, keeping in mind the varied requirements of the customers. We utilize the best of materials like mild steel, aluminum or stainless steel, obtained from reputed vendors, for manufacturing these trays. We have gained eminence as manufacturers, suppliers and traders of Inward Bend Cable Trays for our valued customers. 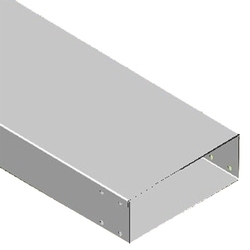 The offered cable trays are designed for changing the direction of the laid cables and are appreciated for their dimensional accuracy. 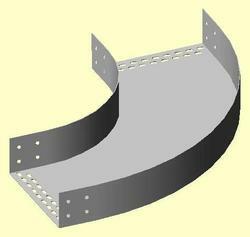 Rendered an optimum finish, these cable trays are known to be highly resistant to corrosion. 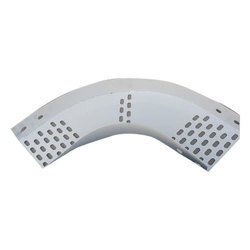 Known to be among the distinguished industry players, we have come up with Perforated Bends for our valuable customers. The offered bends are designed in tune with the industry standards, with the application of premium quality materials and advanced technology. Given their precise dimensions and excellent resistance properties, these cable trays are highly preferred. Being one of the trusted names in the industry, we have come forward to offer Channel Cable Tray to our priceless customers. 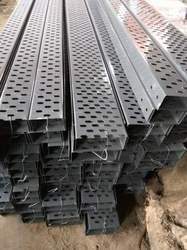 The offered cable trays are widely utilized in several cable laying applications and are highly appreciated for their dimensional accuracy. With their excellent surface finish, these cable trays are highly appreciated. Committed to fulfill the diverse requirements of the customers, we have brought forward Light Duty Perforated Cable Trays for our valuable customers. These trays are made available in several dimensions, finishes and materials to address the exact needs of the customers. 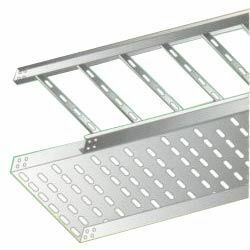 With their durability and excellent heat resistance, these cable trays are highly acknowledged. We are among the prestigious industry players, engaged in manufacturing, supplying and trading Cable Trays for our esteemed customers. The offered trays are made available in several specifications pertaining to dimensions and finish to fulfill the exact requirements of the customers. With their durability and robustness, these trays are much appreciated.